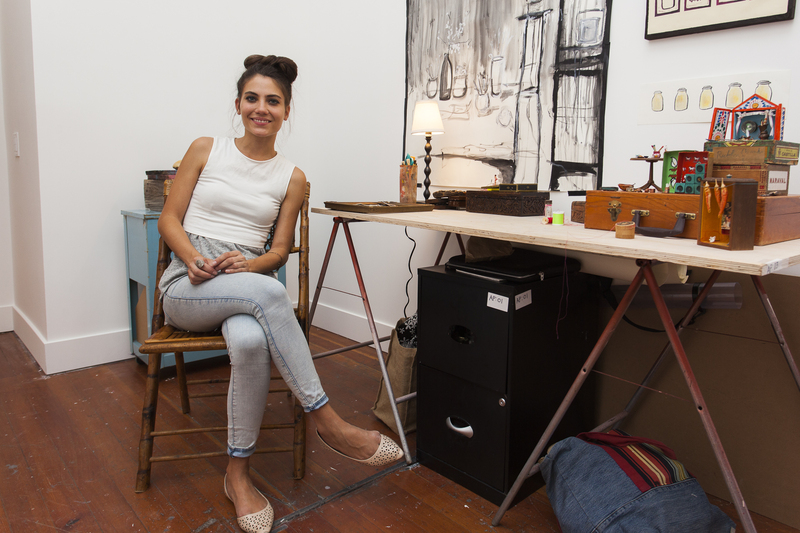 Artist Alejandra Perez working in her studio. 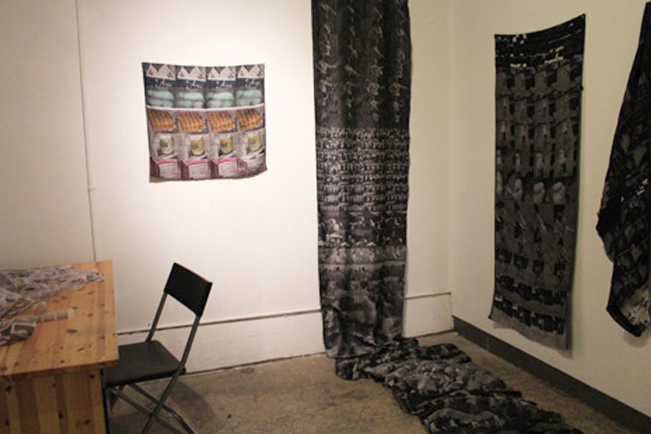 Artist Saree Silverman's installation work. 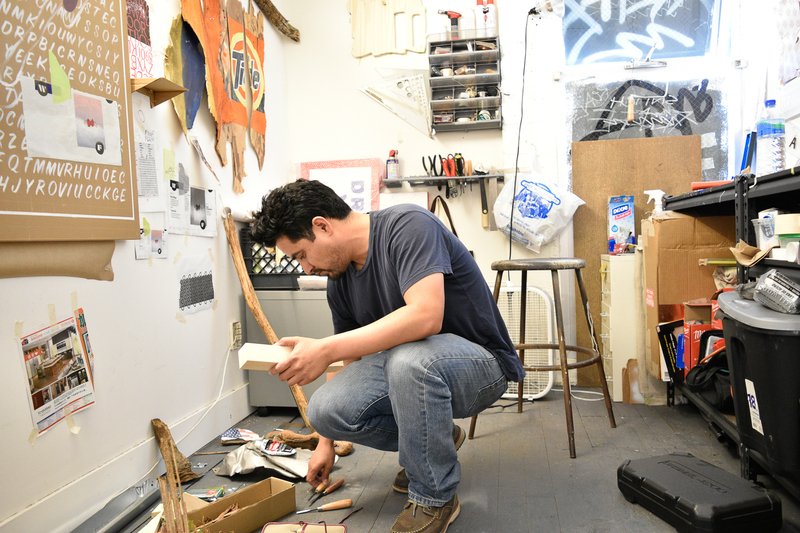 Artist Emmanuel Sevilla working in his studio. 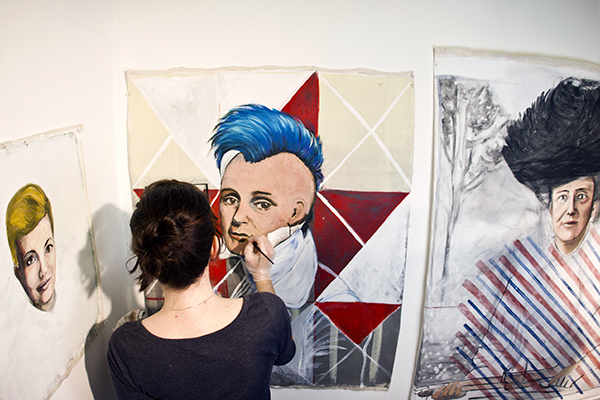 Artist Kelly O'Leary working on her collage. 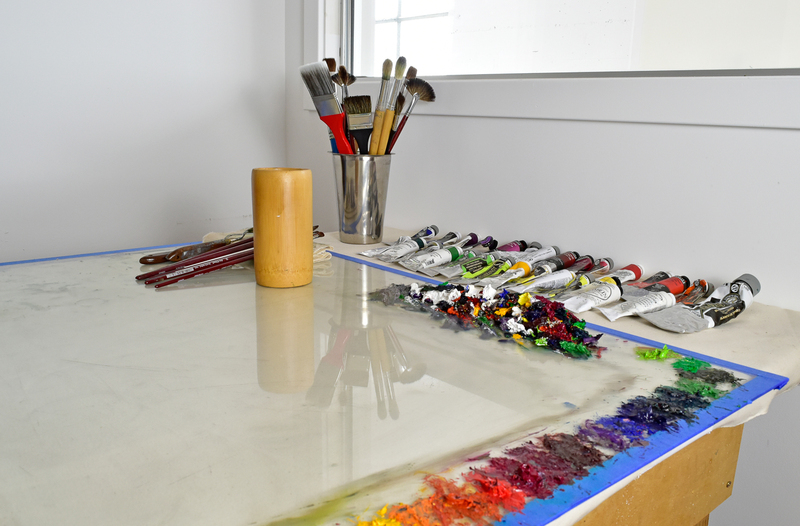 painter Xiao Wang preparing his palette. 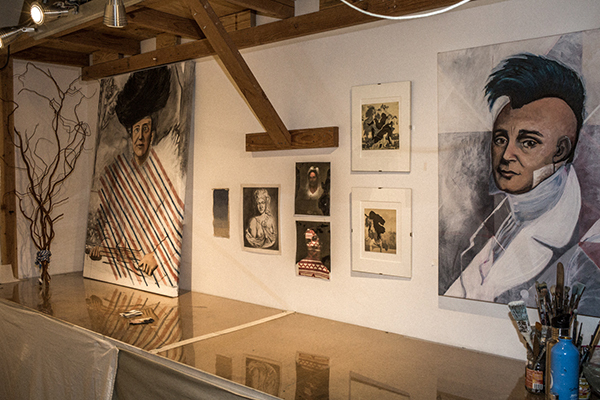 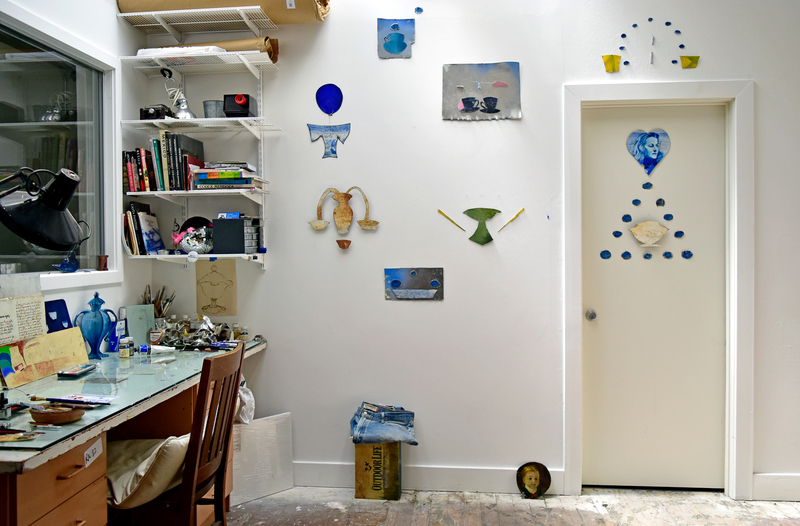 A peek into the studio of Julie Sutherland, Studio Artist, 2011 - 2014. 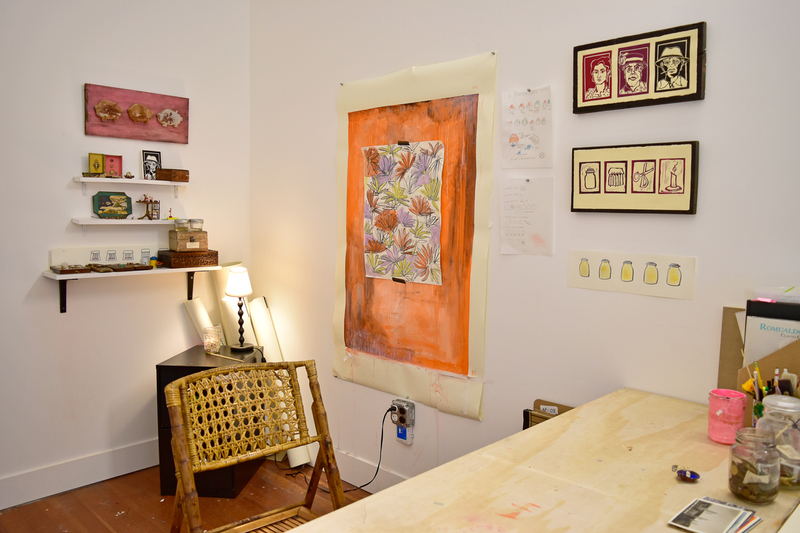 A peek into the studio of María de los Ángeles Burr, Latino Teaching Artist Fellow, 2011 - 2012. 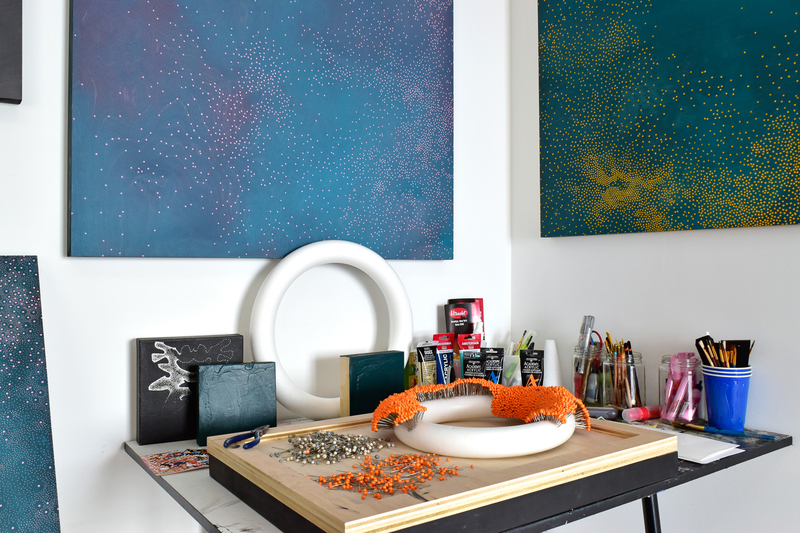 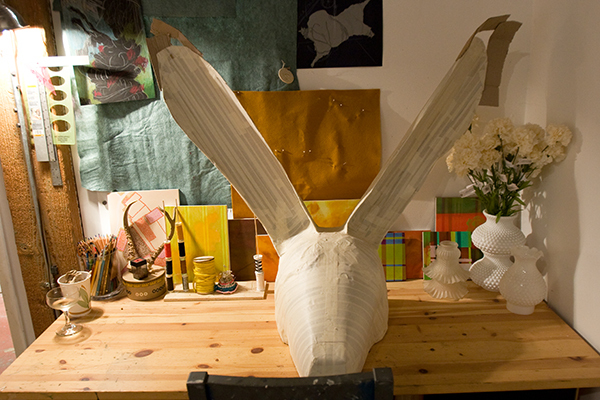 A peek into the studio of Margaux McAllister, Studio Artist, 2012. 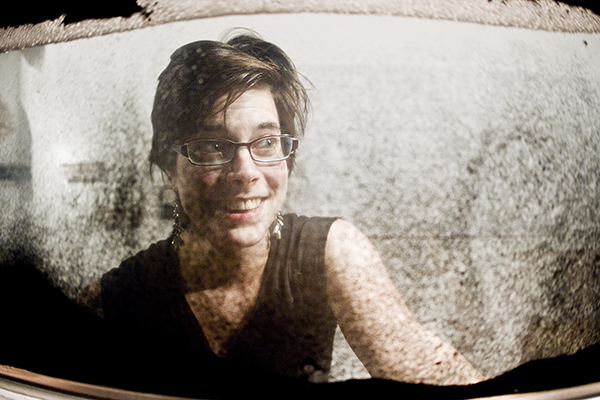 Liz Koerner, Studio Artist, 2011. 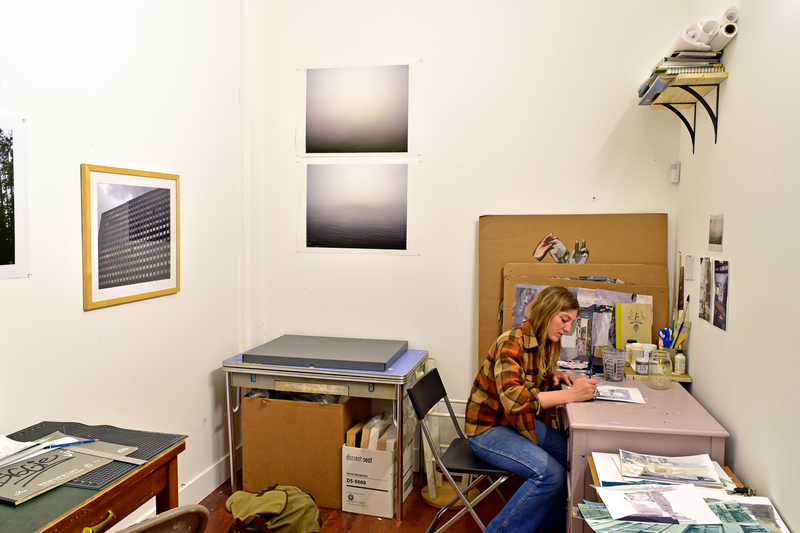 Karen Thomas, Studio Artist, 2010 - 2012, working in her studio. 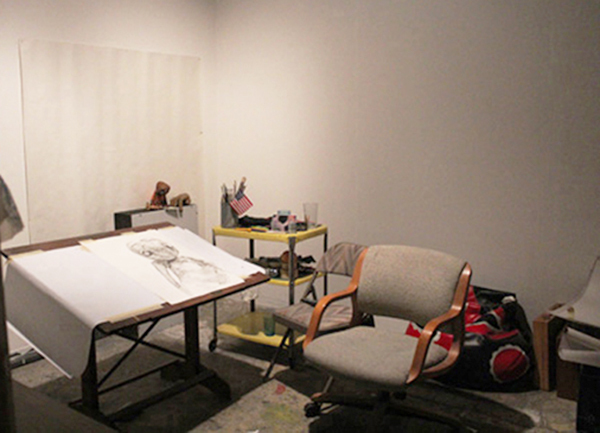 Julie Sutherland, Studio Artist, 2011 - 2014, painting "Harrison" in her studio. 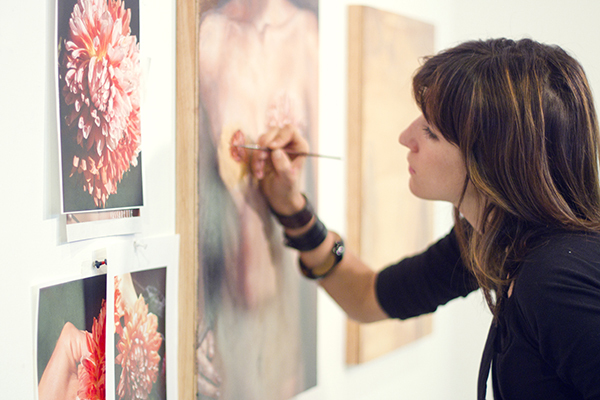 Rachelle Reichert, Studio Artist, 2011 - 2013, working on the delicate details of one her oil paintings. 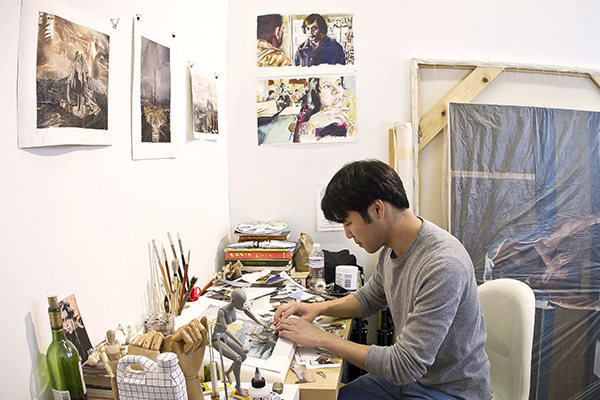 Raymond Wong, Studio Artist, 2010 - 2012, working on his collage series. 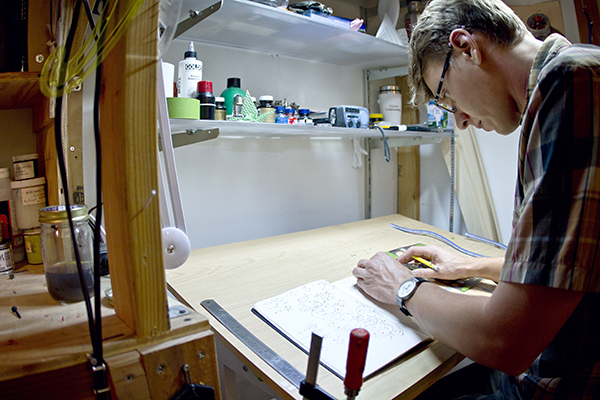 Owen Schuh, Studio Artist, 2010 - 2012, working in his studio. 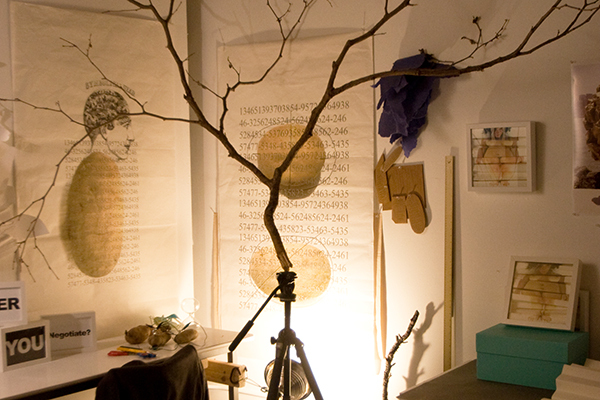 Angie Crabtree, Studio Artist, 2010 - 2012, in her studio. 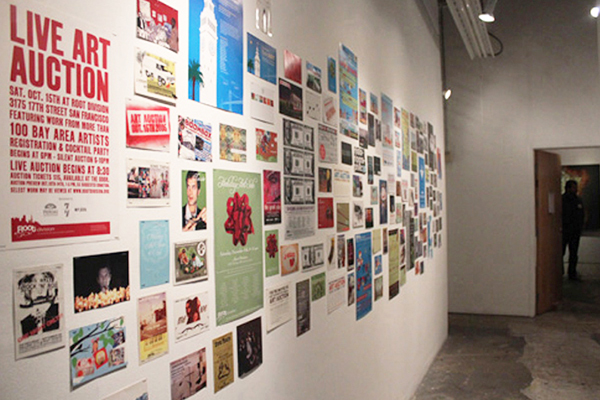 10 years worth of exhibition postcards proudly displayed in our studio hallway. 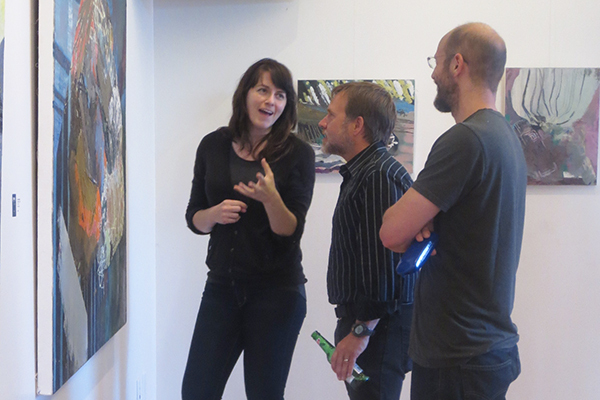 Studio Artists Julie Sutherland, Joshua Highter, and Blake Gibson admiring Josh's work at his solo exhibition, Slow Build. 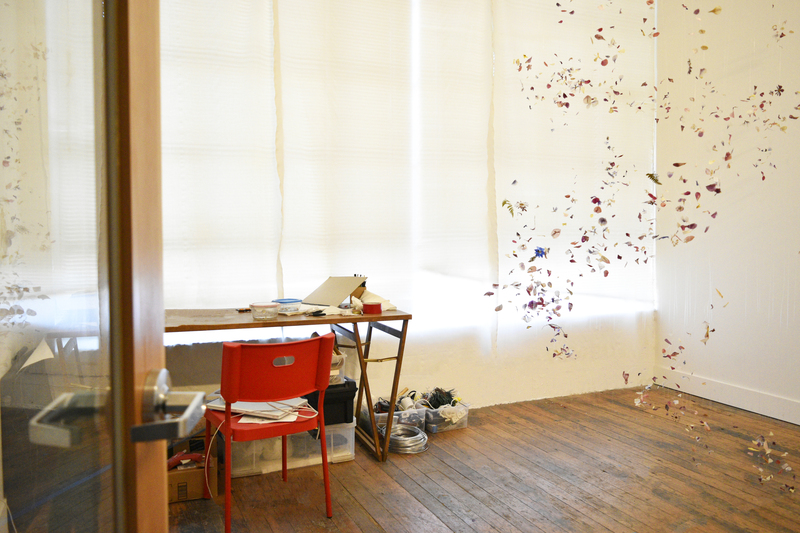 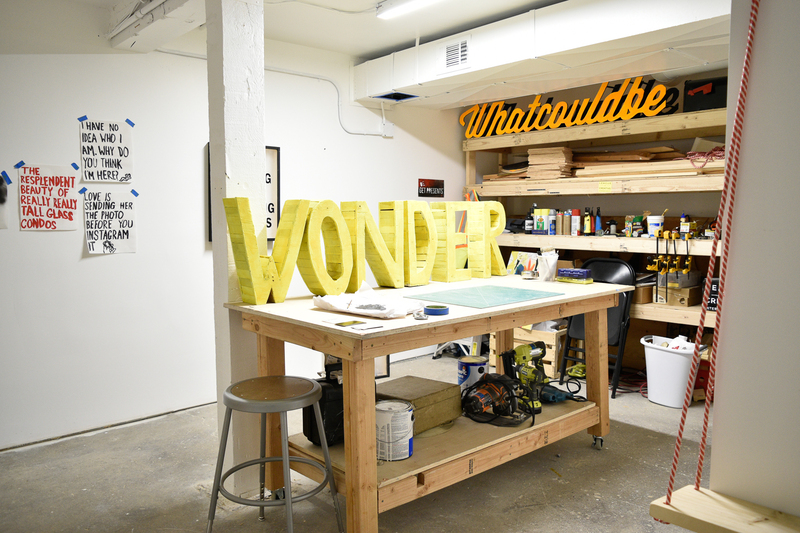 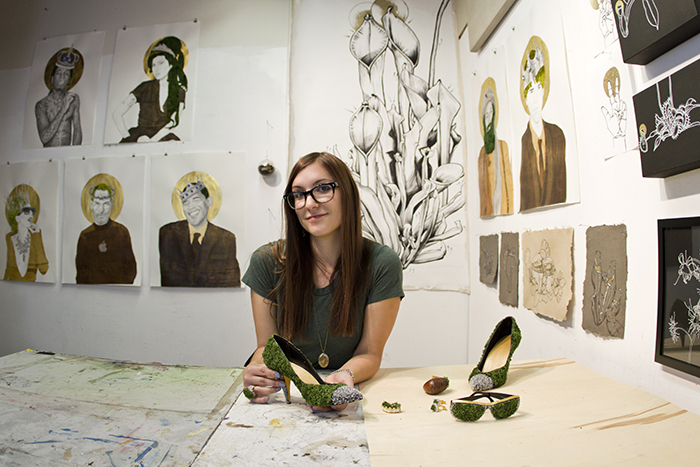 A peek into the studio of Kate Nartker, Studio Artist, 2013 - 2014. 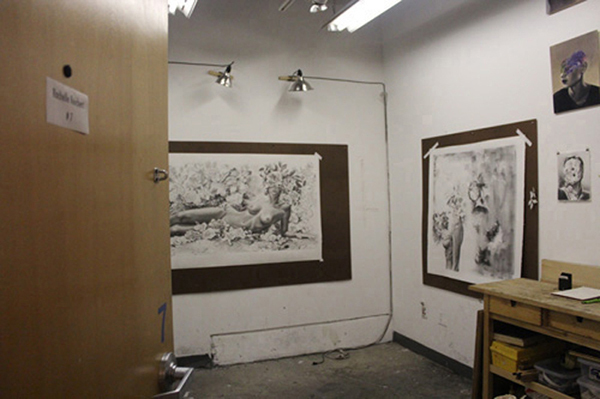 A peek at large scale graphite drawings by Rachelle Reichert, Studio Artist, 2011 - 2013. 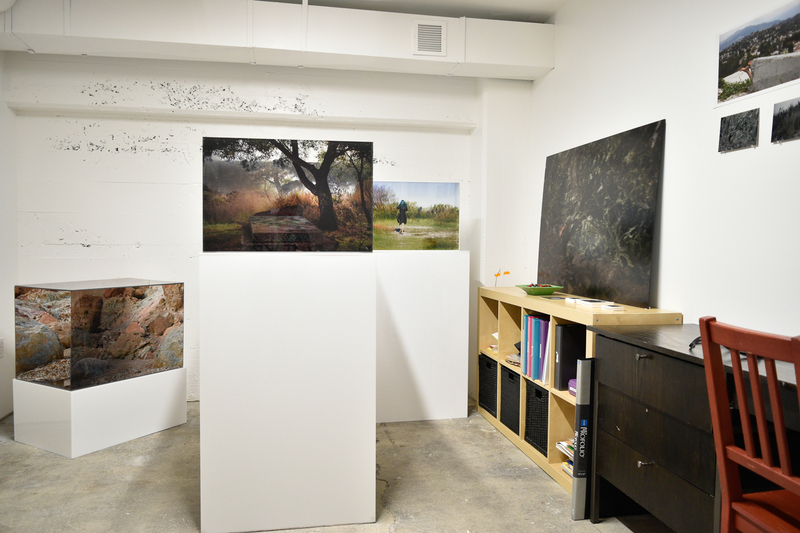 A peek into the studio of Massimo Pacchione, Studio Artist, 2012 - 2013. 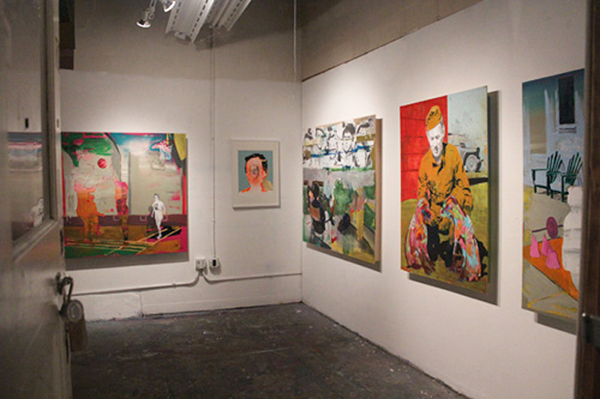 A peek at large scale acrylic paintings by Ohad Sarfaty, Studio Artist, 2012 - 2013. 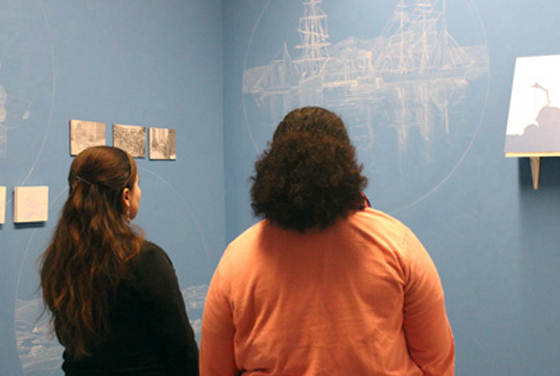 Vistors admiring a site specific installion by Plinio Hernandez, Latino Teaching Artist Fellow, 2012 - 2013. 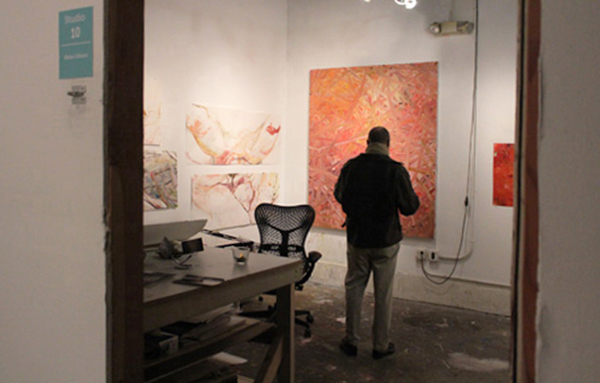 A visitor admiring a large scale acrylic painting by Blake Gibson, Studio Artist, 2011 - 2013.